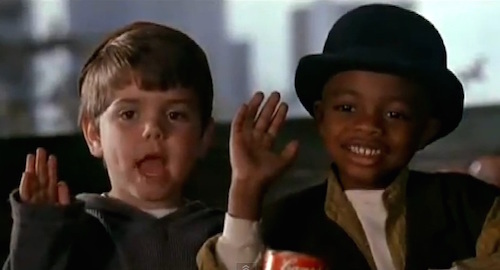 Spanky and Stymie, classic partners, pledging “No girls allowed” in Paul Guay’s The Little Rascals (1994). History is full of partnerships. Some, like Adam and Eve, can be very productive. Others end in ruin, such as Lancelot and King Arthur, when the former’s secret love affair undid the latter’s kingdom. The same is true in Hollywood where screenwriting partners are an integral part of the machinery—and mythology—of the business. Understanding what to look for in a writing partner, and why to work with one in the first place, is crucial to making sure the drama stays on the page. Film faculty Douglas J. Eboch interviewed fellow Film faculty Paul Guay on his fruitful writing career in, and out of, partnerships. Douglas J. Eboch wrote the original screenplay for the movie Sweet Home Alabama and the popular children’s play Sleepover at the Stable. He is the co-author, with producer Ken Aguado, of The Hollywood Pitching Bible: A Practical Guide to Pitching Movies and Television. He teaches “Screenwriting 2” and “Pitching” at ArtCenter. Paul Guay conceived and co-wrote Liar, Liar and co-wrote The Little Rascals and Heartbreakers. His films have grossed over half a billion dollars. He teaches “Screenwriting: What’s the Story?” at ArtCenter and is a sought-after speaker and Script Consultant and not a bad dancer. 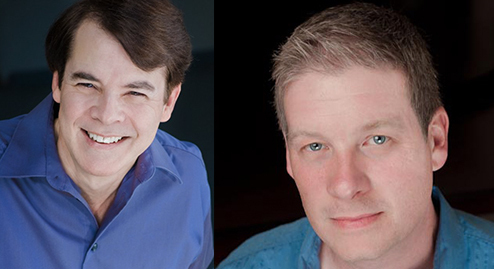 Paul Guay (left) and Douglas J. Eboch (right). Douglas: …and also done some writing on your own. How did you find your writing partners, and how do you decide who you want to work with? Paul: I’ve had about four and a half writing partners. One and a half were friends from high school, one was an upperclassman whom I probably didn’t meet in high school but whose name I knew, one was a friend of two of my college friends, and one I met on the WGA picket line. I knew all of them socially before we began writing together, except my fellow picketer. The high-school friends were improvising comedy sketches into a tape recorder and had written a couple of comedy sketches when I joined them. I loved their writing, loved their performing, and joined because I wanted to write and perform with them. Later the three of us wrote a comedy-sketch screenplay together, and I partnered with one of them on three non-sketch screenplays and a teleplay. The friend of two college friends approached me with the idea for a screenplay and suggested we write it together. I liked the idea and was interested in getting serious about screenwriting, so I agreed. The partnership eventually led to The Little Rascals, Liar, Liar and Heartbreakers. The upperclassman mentioned an idea for a screenplay. I loved the idea, and one of us (I forget which) suggested we write the screenplay together. While we were picketing, my fellow picketer mentioned a movie idea he had. I was so drawn to the idea that I began pitching bits and characters and scenes to him. I eventually proposed that we write the story together and, if that went well, the screenplay. He agreed. Douglas: What process do you prefer? Do you sit in the same room or do you send material back and forth? Paul: Most of the collaborative work has been done in the same room, which has its costs and benefits. Douglas: What happens when you disagree with your writing partner? How do you make decisions? Paul: I learned through experience that the answer(s) to this question, and to all other questions regarding a writing partnership, should be spelled out in advance in a written contract. Subsequently, I have collaborated only when there is a contract in place. Douglas: What are the advantages of working with a partner? Paul: You cut your taxes in half. Having a partner provides discipline; you will show up and put in the hours. Having a partner makes brainstorming easier; two minds can spark each other better than one mind can spark itself. Having a partner provides a sounding board to choose between and organize various ideas. Having a partner with complementary strengths can make the screenplay better. Having a partner puts someone in your corner, which can be helpful in meetings. And having a partner means someone is sharing the responsibility, which can be helpful during moments of self-doubt and the dark night of the soul. Douglas: What are the disadvantages? If you want to protect your solo voice (at least in the spec or first-draft phase), writing with a partner is probably not the best choice. If you find you and your partner are not compatible, because of personality (you’re too different, or too similar) or any other reason, things can go south in spectacular ways. Douglas: Any advice for a writer contemplating entering into a writing partnership? Paul: Don’t… unless the benefits outweigh the costs. Discuss the nature and conditions of the partnership in advance, and put the conclusions of those discussions in a contract written or vetted by an attorney or two.